Child abuse isn’t on spring break. Neither are we. Thank you for supporting this campaign and helping us to #ProtectKids365 this Child Abuse Prevention Month. Safe Shores welcomes new staff members! Safe Shores recently welcomed new members to the team and Lauren Snell to a new position! 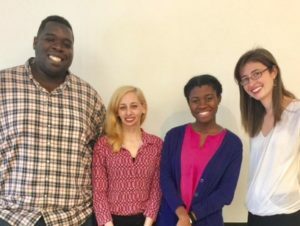 From left to right: Jason R. Saunders, Foundation and Corporate Relations Manager; Lauren J. Snell, Development Associate; Sylvia Ashley, Administrative and Operations Associate; and Kathleen McCormac, Manager, Individual Giving and Stewardship. Do you know the six irreducible needs for children? Share these with your networks and do what you can to ensure that you are creating a space for children to have their needs met. Do your part to #ProtectKids365! 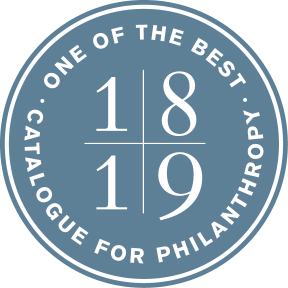 Safe Shores’ supporter shout out! A huge shout out to Safe Shores’ board member Tom Cicotello and his family for commissioning a gorgeous piece from the talented artist Maggie O’Neill. 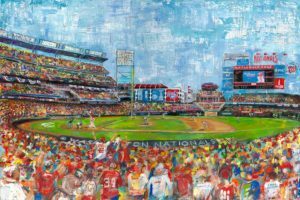 “Nationals Fan” is a limited edition print and 25% of the proceeds will benefit Safe Shores. More information can be found here. Thanks Cicotello family and Maggie! 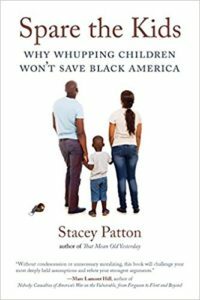 Spare The Kids: Why Whupping Children Won’t Save Black America by Dr. Stacy Patton is a nuanced and important read, particularly during Child Abuse Prevention Month. Read Dr. Patton’s latest piece in The Washington Post and add this to your reading list this month.